The cinema or movie theater industry has been in existence for more than 100 years, but has become an increasingly popular entertainment venue with the rise of the film industry and advances in film technology. The original theater complexes were designed with one theater and could seat from 50 to 100 people. Seats were standard and prices did not vary according to time or space. Today multi-theater Cineplex’s offer a variety of movie options catering to different tastes. Theaters can often be smaller, from 50 to 100 people, or larger, seating a few hundred people at one time.Space is defined implicitly in the industry. A ticket buys the right to one seat in one theater, which is a predefined amount of space. The standard special layout is stadium seating, which offers the maximum capacity in the space often allotted. Other seating styles that have been utilized are lounge style seating, such as the Parkway Theater in Oakland, California, pictured below. Unfortunately, it seems Parkway Theater has recently closed, which suggests this type of venue may not be as popular or successful as others. A third seating or special arrangement is VIP seating for higher paying customers. Only a few companies seem to use this concept, mostly notably Vue Cinema in Europe. Most movie theaters today offer a wide variety of ancillary revenue generators, generally in the form of food and drinks in the foyer or lobby before entering the theater. Movie theaters in some parts of Europe, such as the UK, offer alcohol in the theaters. Some theaters will also offer arcade style video games in the lobby as well. For those movie theaters that cater to the dinner crowd food is also a major source of revenue. Apparently film distributors drive very hard bargains in exchange for the rights to play a film. In many cases, these ancillary revenue generators become the only source of revenue or profit for the theater itself as all revenue from tickets goes to the distributor or producer. Another concept, the only example of which I could find is http://www.12apostleshotel.com/dining/dining/dinner-movie, would be to use private rooms similar to Asian Karaoke. This boutique hotel in Cape Town has a small private theater for rent, but it is not the core of their business. The movie theater industry in Eastern Europe and Russia apparently have a number of much smaller, private, theaters, but they stand independent of larger theaters. Bringing this concept to the multiplex may be an interesting alternative to the larger public theaters. Service could also be added as an additional component of the theater experience. While theaters already service food and drink, and some are even offering dinner to their guests, charging for delivery of these items for guests who don’t want to miss part of the movie is a very good opportunity. Otherwise moving the bar or counter selling these items into the theater so they can draw additional customers is another opportunity. Time in theaters is sold implicitly. One ticket grants access to one movie. However, there have been a number of variations to this. These last examples of selling an all day or all month passes to a theater begin to cross the line to selling time explicitly. Movies are also a set amount of time and patrons are often not allowed to stay after the movie has ended. 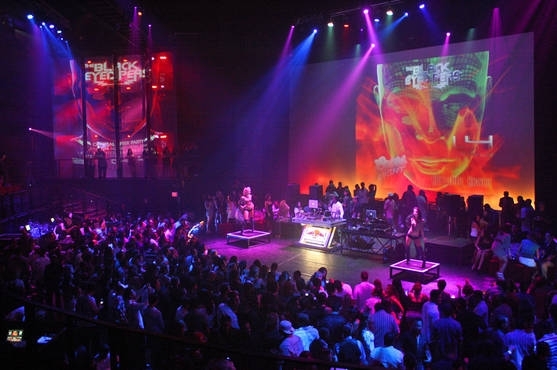 Thus unlike other implicitly sold events, such as a restaurant or golf, the duration of this event is not controlled by the customer, but rather by the theater. In fact considering that most of the revenue of many theaters comes from ancillary revenue centers, such as food and beverage, it would make sense for theaters to allow their patrons to stay for multiple movies, thus encouraging the purchase of these items. Some theaters do sell their space for private events, which also entails the explicit use of time. One example of this is http://conferencing.myvue.com/PageProducer.aspx. With built in stadium seating and audio/visual capabilities, theaters make for a great auditorium for private events and allow theaters to charge by the hour as hotels do for their function space. Physical and non-physical rate fences seem to vary widely by region. The US has the simplest approach with vary few variations in price, which Wikipedia comments on the issue as an “economic puzzle.” The standard breakdown in non-physical rate barriers generally being different prices for adult, child, senior, military, students, or other classifications of this kind. Theaters will also charge higher prices for prime time showings, generally at night, at for weekend showings. Variations of this strategy are to offer extreme discounts during very low demand periods, such as weekday mornings. Other non-physical rate fences include using loyalty or frequent customer programs. These allow customers to pay a set amount per month for discounts on movies they watch or to accumulate points for each movie watched to be cashed in later for a free movie. Non-physical fences also exist in the form of new distribution systems. Tickers were traditionally only offered at the ticket counter, but now they are available online or over the phone. www.fandango.com is a great example of a prebooking website. Unlike hotels where customers pay less for booking in advance, customers using these sites are paying extra for the convenience of not having to go to the ticket counter to buy a ticket in advance. Physical rate fences are surprisingly uncommon in the US. Usually tickets are for open seating and there is no difference in price for any of the seats. Asia and Europe are very different in this case. Asia in particular will charge more for seats in the back or less for seats in the front. They often also have more and less comfortable seats which allow for further variation in price. 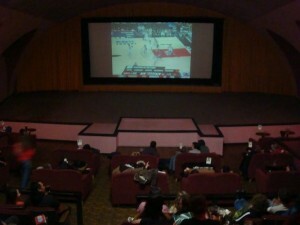 Theaters also allow or sometimes require customers to reserve a specific seat. One rate fence which is not currently employed in some areas, particularly the US, is to charge more for newer or higher demand movies. Movies which are expected to be in higher demand, could be priced at a premium, but often are not. Second class theaters, those that show movies that have been out for some time, have closed across the US with the ease of viewing movies at home. However this idea could be brought back to the mainstream by showing older very popular movies on occasion at larger theaters. Movies such as the titanic or avatar, which did well in their initial showing, would likely draw large crowds if shown again a few years after they came out. ← Revenue Management in Telecommunication !!! Our lead retrieval solution enables you to collect, capture and scan all types of badges to store all lead profiles in a systematic app – Lead retrieval app . 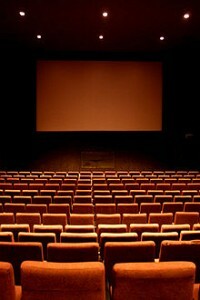 Now a days Indian people’s are interested to see movies in theaters that is a great news for all owners and producers. Biography, literary form, commonly regarded as non-fictional, the subject of which is an individual’s life. One of the oldest forms of literary expression, it seeks to re-create a human being’s life in words— as understood from the author’s historical or personal perspective— by drawing on all available evidence, including the memorial, written, oral, and pictorial material. Our B2B Matchmaking Software offers you with multiple options to connect with matching profile businesses and professionals at an event in real time.